Has anyone accused you of committing an act for which you had no guilt? Has anyone falsely witnessed against you? Have you been a victim of a lie? Did you ask God to forgive them? Did you pray for God to intervene and fix the situation? Did you let God have control? Hopefully, you asked God to forgive them, intervene and fix the situation, and allowed him to have control. I have been in that situation, and at different times in my life, I have done all of the above. However, when I allowed God to have control, the situation was fixed by him. Why? Because I prayed to him to handle it, I waited for him to take care of it, and I saw the results. They may have not been immediate, but they were at the right time, his time. Not only, do we need to forgive the person, but we also need to ask God to forgive them. Why? Most people that falsely accuse others do so with intentions to hurt, damage, and humiliate. It is not easy to forgive them, but it is what we are commanded to do. If we ask God to forgive them, he will deal with them in his way. God has a way of teaching lessons that persons can learn from. By asking God to forgive them, we are saying “God, take a look at this person. Check them out. They need your help. They need your guidance. Please have mercy on them and teach them about your love and understanding.” God knows everything and sees everything, but there is nothing wrong with asking him to notice someone. There is nothing wrong with interceding on their behalf. and show great faithfulness to all who cry out to you. It is very easy to become angry when a person has falsely accused us. It is just as easy to retaliate and give the person a piece of our mind. But, what can we accomplish, besides getting angry? Not much. However, when we pray for God to intervene and fix the situation, then we have no need to get angry. We put our concern in his hand. We allow him to take over, and he looks for ways to ensure that the situation is corrected. We pray to God to let him know what happened. He knows our heart. He knows that we have been falsely accused. Who better to defend us than he who knows the truth beyond a reasonable doubt? 29:12 When you call out to me and come to me in prayer, I will hear your prayer. 29:14 I will make myself available to you, says the Lord. After we ask God to forgive the other person, and after we ask him to intervene and fix the situation, we need to let him have full control. We need not intervene. We need not worry. When he is control, he will guide any step we take. He will direct any words we say. He will continue to work on what is needed until he declares victory over our accuser. Once he is in control, all we need to do is wait. In his time, he will triumph over our situation. 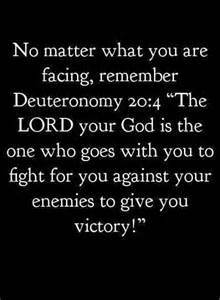 20:4 for the Lord your God goes with you to fight on your behalf against your enemies to give you victory. Do no let your anger be your guide. Do not let pride take over. Do not let revenge be what feeds you. Seek God on all you do. Seek God on all you want to do. Pray, ask, and wait. Have faith. Have hope. God will answer. God will guide you. God will take care of you. Categories: discern, guidance | Tags: Christ, Divine presence, forgiveness, God, God the Father, Jesus, Love of God, Sin | Permalink. Truly awesome message and i am in total agreement with you on the best way to handle the situation. Yes I too have faced similar situation and had to turn it over to God. Thanks for sharing. Thank you. It is not easy to turn away or turn it to GOd, but its the one and only way.